Today marked two weeks in South Korea, one week in Gimhae, but most importantly a week through teaching. I did it! It’s just so great! 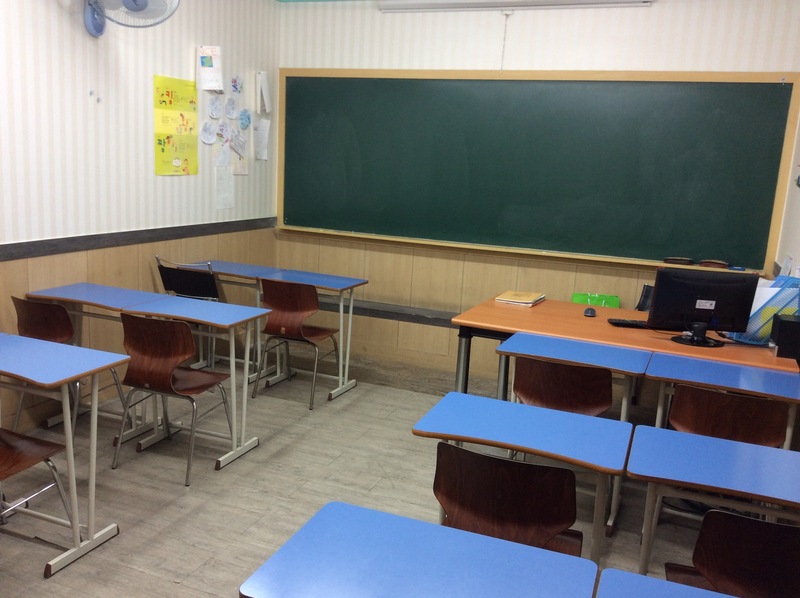 In this week, I can’t express how much I have learned about Korean children, the education system, the activities my students partake in, the various English names they have, their hopes and dreams along with their negative attitudes at times, but most importantly…I can’t express how much I’ve learned about me. Since my first day, I’ve received two new students in two different classes. As awkward as this may sound, I named my first Korean child! A young boy joined as a beginner level and hadn’t received an English name. My co-teacher, Kate, said she needed to give him a name. I asked what his Korean name was and it began with a ㅁ or “M”. So I suggested Matt. No? Matthew? No? Michael? Ahh! I like… But he didn’t seem to like it that much. So I just went for the next closest name I could think of – “Nathan?” A few seconds pass… And he vigorously nods his head up and down. My week had several highs and lows. Some kids just have a negative attitude and it’s hard to teach those students who genuinely want to get better when there are disrupters. But, I managed to gain control of the classroom for the most part. Not until Friday (today) did I have to kick my first kid out of class. The thing about today was that it’s the day before a 5 day weekend…so it was understandable that the kids were rambunctious… BUT, only to a certain extent. I love having fun with kids just as much as the kids themselves, but we need to focus when it’s time to focus. My coworker John asked me who my favorite kid was and I had maybe 6 answers. So many unique characters in such a small class population. (By the way, my smallest class is 2 and my largest is 8.) Also, no names in case they ever find this, haha. Today, some of the girls (who happen to be two of my favorites) come in and hand me a box. My first present!!! The reason there is a five day weekend is due to Chuseok, the Korean version of Thanksgiving. So today I received socks, shampoo, conditioner, soap, toothpaste, vitamins, and watermelon! Also, I shared my 김밥 (kimbab or veggie rice roll sometimes with meat or fish) with a student and received jelly beans and wafer in return (Win-Win). Although today sucked discipline wise, it was a great day to end Week One on. I am going to miss the kids over break, and I hardly know who they are. If you note the time I am posting this, it is approximately 5:30pm your time or 6:30 A M my time. I got home around 5:20. While I may not be that intoxicated, Koreans definitely know how to make a party last. We met a guy who claimed to be Yakuza tonight, along with several of the other Waegooks (foreigners) or foreign teachers from the other branch – the same branch all my friends are at. Super successful first week. Unbelievably excited for the next few months and man, right now I could just do this forever. I’ll try and get a picture of my students in action soon, but until then… Know that they are more precious than you can fathom. Over and out, the sun is up……. ← Nick Teacher – flying solo.